A New Dawn in Ireland – Information and Inspiration for emigrants by emigrants. Information and Inspiration for emigrants by emigrants. 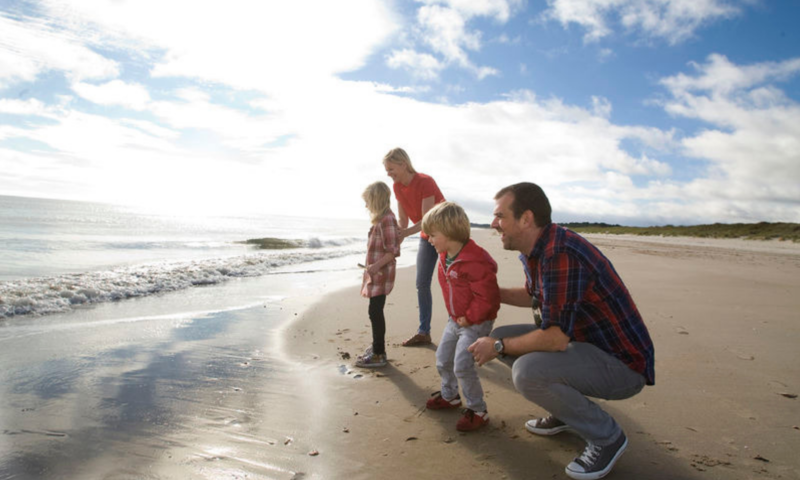 Thinking about returning home but struggling to decide? Already made the big decision but don't know where to start? Seeking personal step-by-step guidance? You can relax. You've come to the right place. 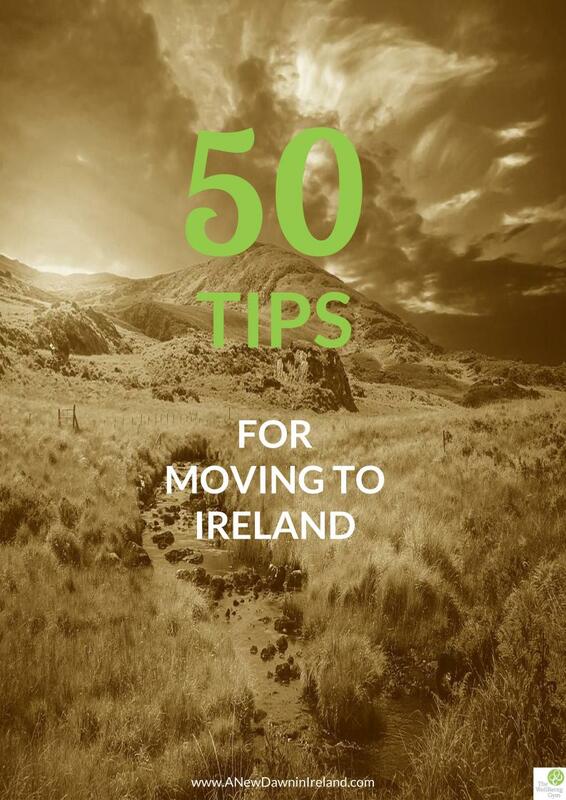 ...with friendly advice and actionable tips from fellow emigrants who have actually done it! And successfully create your new life in Ireland. Next Training and Coaching closes soon! We're so excited to offer 10 spaces on our new VIP Training Programme. In addition to comprehensive self-paced online training we support you with coaching over 12 weeks, via a live call every two weeks. ✔️ Downloadable Checklists and Cheat Sheets to guide you through all aspects of the move - financial, mental, logistics, mortgages, insurance, planning etc. ✔️ Access to podcast and personalised audio support. ✔️ Contact us anytime with questions that can be addressed in a group setting. ✔️ The opportunity to talk about your own challenges in a safe environment. Our early bird price is EUR 79/month or EUR 199 in a single payment. The full course synopsis shown below is available here. You can start today! 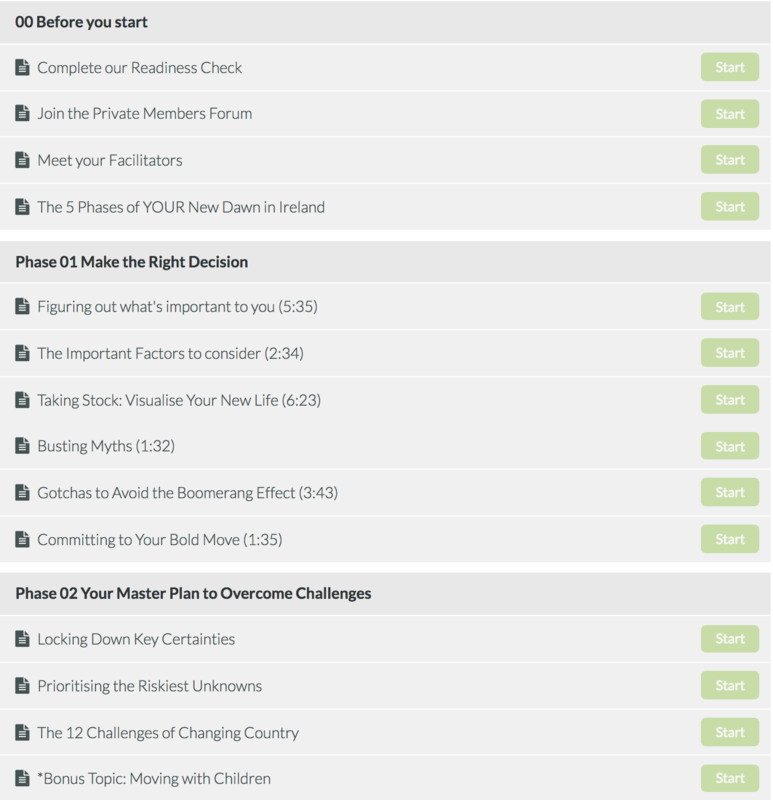 50 Free Tips to create your new life in Ireland! Sign up below to get our FREE eBook of Tips. I agree to receive my free download and any relevant newsletters containing information and inspiration.